The newest superhero to take flight on the silver screen calls Philadelphia his home and viewers will be able to spot the Art Museum, the William Penn statue, the LOVE sculpture, and various Philly-centric neighborhoods in scenes throughout the movie. There's even a climatic action sequence that takes place on and around the Market-Frankford El subway! Sadly, some of these scenes were actually filmed in Toronto, while others were legitimately filmed right here in Philly, both being aided with a heaping helping of CGI thrown into the mix. Unfortunately, no cameos for the Free Library in this one, but we can always hold out hope we'll be featured in a sequel! You may be asking, who or what exactly is Shazam? Listen up for "Origin Storytime" [cue dramatic music]: Shazam (originally named "Captain Marvel", but we'll get to that in a minute...) is the alter ego of a boy named Billy Batson, who by speaking the magic word "SHAZAM" (an acronym for six "immortal elders": Solomon, Hercules, Atlas, Zeus, Achilles, and Mercury, natch! ), can transform himself into a costumed adult with the powers of superhuman strength, speed, and flight. 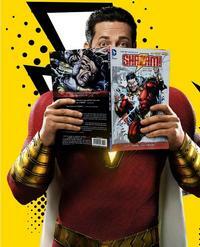 Shazam isn't a modern-day brooding anti-hero; it's basically just the archetypal adolescent wish fulfillment story of having superpowers! So, about that "Captain Marvel" stuff... this is where it gets a bit confusing. The character's origins and publishing history start in 1939 as Captain Marvel, debuting only a year after Superman. During the 1940s, he was one of the most popular superheroes based on book sales alone. He even had his own serial in theaters in 1941 titled, Adventures of Captain Marvel. 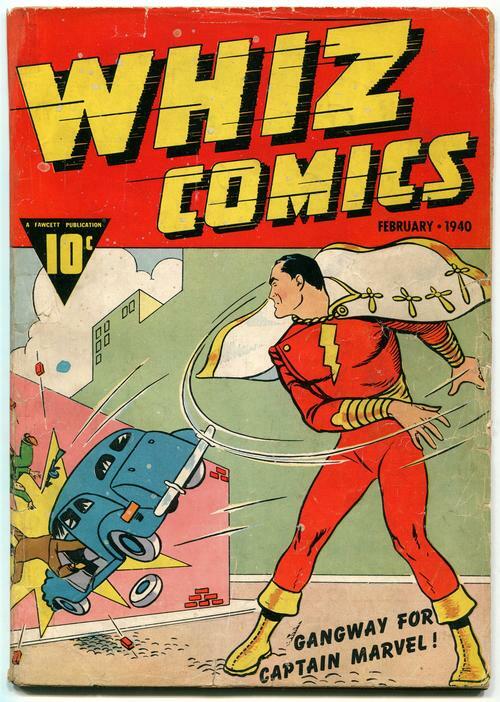 Fawcett Comics stopped publishing Captain Marvel-related comics in 1953, as there was a copyright infringement suit from DC Comics who said that Fawcett was basically ripping off Superman. In the 1960s, Marvel Comics enters into the melee and they trademark the name "Captain Marvel" for one of their superheroes. So then, in the early 1970s, Fawcet sells Captain Marvel to DC Comics and since the superhero couldn't be called "Captain Marvel" anymore, he was renamed after his transformation cry—Shazam! But as you'll see below, they weren't always consistent with the character's name, as witnessed by the 1970s Saturday morning television series where he's referred to as both Shazam and Captain Marvel. So, now that we've kinda got the name of the character sorted out and know his origin, what about some actual stories? 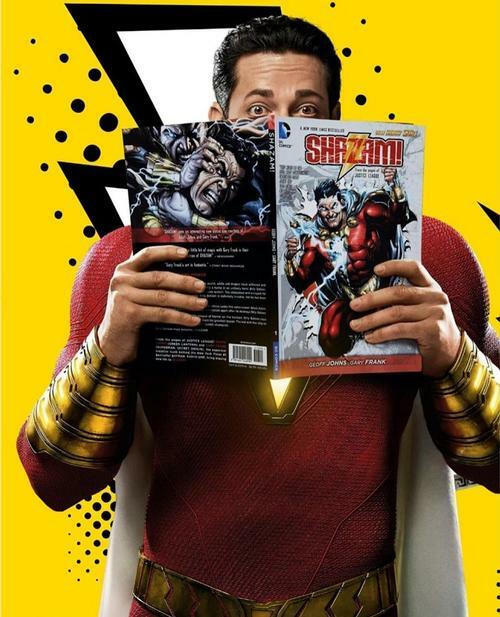 Whether you're already a fan who wants to revisit some of these tales, introduce the comic book character to a child, or you're just reading about Shazam's adventures for the first time, here are some recommendations from our catalog of both physical and digital offerings. This is a good place to start, as this was the retcon of the character that places him in Philadelphia. 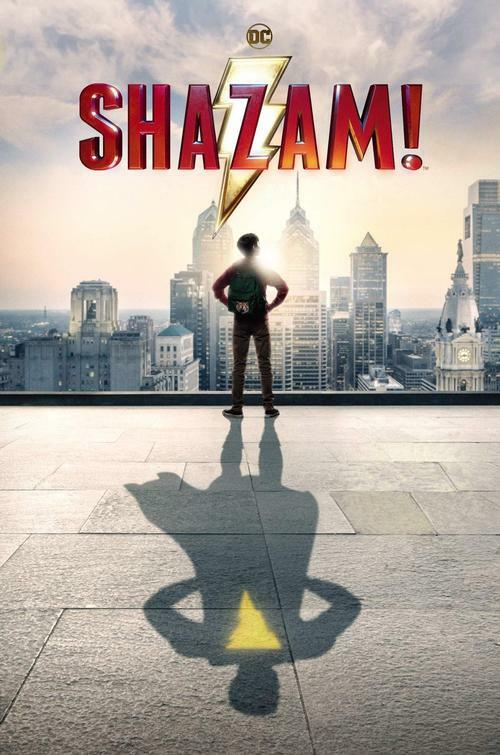 Young orphan Billy Batson bounces from foster home to foster home as a troubled teen that just can't seem to find himself, until a fateful night on a subway car when he encounters the magical wizard named... Shazam. By shouting the wizard's name—SHAZAM!—the young teen is mystically transformed and imbued with powers beyond any mortal man! With his newfound abilities making him Earth's Mightiest Mortal at the utterance of a simple phrase, will Billy make the right choices and do what it takes to become a hero? Or will he succumb to the poor choices of youth—and the villainous Black Adam! One of my personal favs, from one of my favorite creators (Jeff Smith of the legendary Bone series), this is a fun all-ages fantastical adventure story where Billy / Shazam must use his extraordinary abilities to face an invasion of alien creatures, as well as stop mad scientist Dr. Sivana and his Monster Society of Evil from taking over the world. The Two Titans of the DC Universe fight with each other and side-by-side in this thunderous team-up filled with magic, mayhem, and monsters! Superman must stop members of a cult from stealing ancient artifacts from the Metropolis Natural History Museum, while Shazam battles giant robots rampaging through the streets of Fawcett City. The Man of Steel and Earth's Mightiest Mortal are on the case, but so are Lex Luthor, Dr. Sivana, Eclipso and the monstrous Sabbac! Remember when I said earlier how Captain Marvel / Shazam outsold Superman throughout the 1940s? Well, there was a whole lot of merchandise that came about because of that fact: secret decoders, figurines, buttons, paper rockets, tin toys, puzzles, costumes, even a fan club. Award-winning writer/designer Chip Kidd and photographer Geoff Spear celebrate the artwork, one-of-a-kind toys, and ephemera in this definitive Shazam collection. That should get you up to speed (and strength, and flight, and... well, you get the picture!) on Shazam! Do you plan to watch the new movie, if just to see some phamiliar Philly sights on screen? Let us know in the comments! SHAZAM! leaps off the comics page and takes flight on movie screens this weekend! Shazam / Captain Marvel's 1st appearance was in Whiz Comics #2 (cover-dated Feb. 1940), published by Fawcett Comics. Add a Comment to Look! Up in the Philly Skyline! It's a Bird! It's a Plane! It's... Shazam! ?